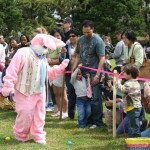 Easter in the Gardens Returns! 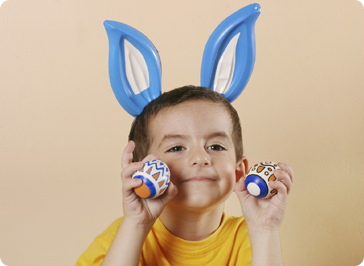 Are you still on the hunt for Easter plans? We’ve got you covered! 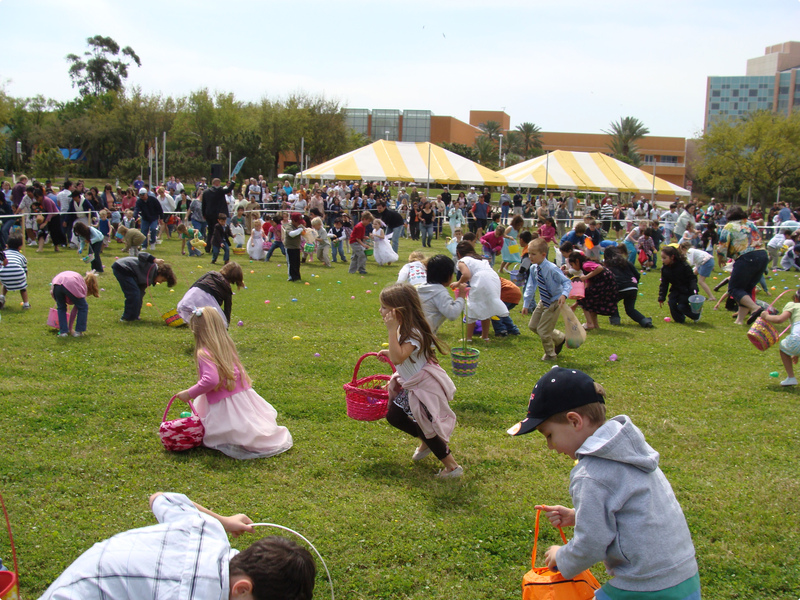 Join us for our annual Easter in the Gardens this Easter Sunday from 11 a.m. to 3 p.m. at Moody Gardens. We are also hosting not one, but two delicious Easter buffets that the entire family can enjoy! We have lots of exciting activities for the kiddos to enjoy! Starting with our very own petting zoo where children can get up close and personal with some cute and cuddly animals such as chicks, bunnies and miniature ponies. The fun doesn’t stop there, there will also be arts & crafts, music, face painting and games & prizes. 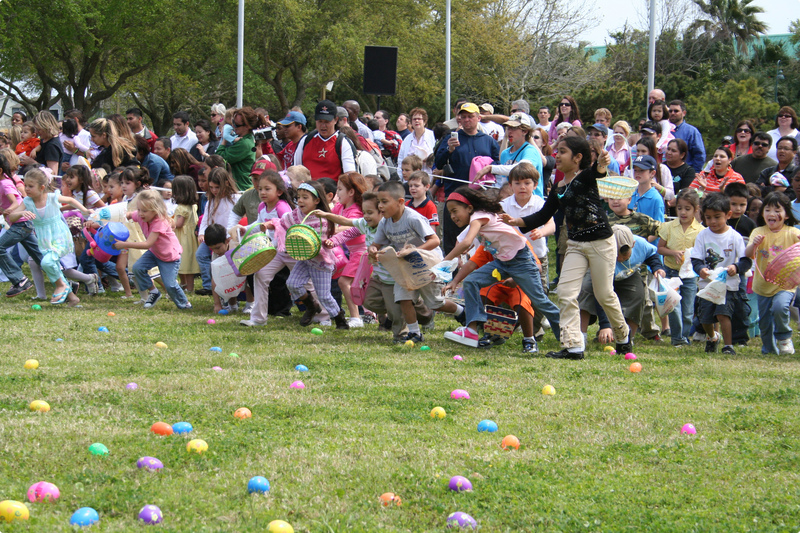 Whatever you do, just make sure you don’t miss one of our two Easter Egg Hunts where children 12 and under can enjoy the pursuit of brightly colored, candy-filled happiness (otherwise known as eggs!). 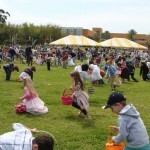 Egg hunts will take place at noon and 2 p.m. in the Oleander Bowl. 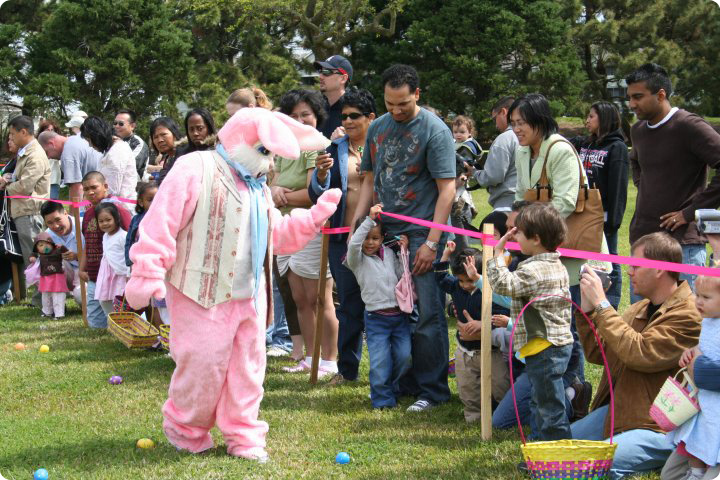 Participants are invited to have their picture taken with the Easter Bunny inside the Moody Gardens Hotel so make sure to bring your camera! In addition to all of the activity outdoors, guests can enjoy a first-class meal at the Easter Sunday buffet in both the Garden Restaurant and at the Moody Gardens Hotel. While walk-ins are welcome at the Garden Restaurant, reservations are required for the Hotel buffet and can be made by calling 409-741-8484, ext. 4465. The Garden Restaurant buffet will feature shrimp Victoria, pecan-crusted mahi-mahi and chicken le garde on a bed of creamy marsala with an assortment of sides, breads and desserts for only $21.95 for adults, $17.95 for seniors, and $11.95 for children (children 4 and under are free with complimentary adult purchase). Click here for a full menu and more information or call 1-800-582-4673 extension 4238. The Moody Gardens Hotel will serve chilled shrimp and crab claws, roasted leg of lamb, prime rib of pork, carved roast sirloin and herb and parmigiano tilapia – all with an assortment of sides, salads and desserts for $38.95 for adults, $29.95 for seniors and $17.95 for children ages 4-12 (children under 4 are free). Click here for a full menu and more information or call 409-741-8484, extension 4465. We wish everyone a happy and safe Easter and we hope you can all join us! If you have questions, comments, concerns, fun Easter stories/plans/traditions you want to share, then don’t hesitate to leave us a comment below! 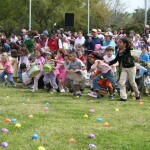 Posted on April 20, 2011 Author Moody GardensCategories EventsTags Easter, Easter Brunch, Easter Buffets, Easter Bunny, Easter Sunday, Egg Hunt, Galveston, Moody Gardens, Petting ZooLeave a comment on Easter in the Gardens Returns! Love is in the air at Moody Gardens! It’s officially February and that means Valentine’s Day is just around the corner. If you are looking for a special way to spend Valentine’s Day weekend, look no further! Whether it’s a romantic dinner cruise, relaxing couple’s massage or a full-on wedding, Moody Gardens has some romantic and unique options that will make this Valentine’s Day truly memorable. 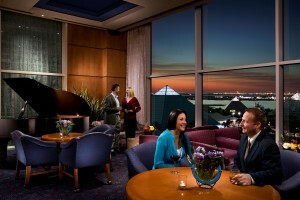 First on the list is the absolutely amazing Valentine’s Retreat package offered by the Moody Gardens Hotel. This package includes a spectacular guest room for two for one night, champagne and chocolate covered strawberries, a long-stem red rose, breakfast for two in room or at the Terrace Restaurant, late checkout and complimentary valet parking, and the unforgettable option of celebrating your love with a wedding ceremony! As part of the exclusive Valentine’s Retreat package, couples can celebrate their love for one another by exchanging or renewing their vows on February 12. The complimentary ceremonies will be performed by an ordained minister and all couples exchanging vows can invite up to 50 guests to join them for a Grand Reception at 7 p.m. The Grand Reception will feature complimentary hors d’oeuvres, a giant wedding cake and a cash bar. Don’t miss out on this great opportunity to live your very own fairy-tale! The Valentine’s package is $249+tax per night and is available for February 11 & 12. All ceremonies will be performed by appointment on February 12 from 10 a.m. to 6 p.m. For more information or to book your Valentine’s Retreat, call 888-388-8484 or visit www.moodygardesnhotel.com. Treat yourselves to a romantic four course dinner at Shearn’s, one of Galveston’s finest restaurants, located on the ninth floor of the Moody Gardens Hotel. To start off, the special Valentine’s Day menu will include the option of Grilled Diver Scallops or Pan Seared Quail and soup or salad. Entrée options include Prime Filet Mignon, Dry Mushroom Coated Red Snapper Fillet or Petit Prime Filets Mignon. Lastly, enjoy a decadent duet of Chocolate Cream Tart and White Chocolate-Raspberry Bread Pudding for dessert. Come savor this delicious meal with your loved one on February 12th and 14th. Prices are $80 per person. Click here for a more detailed menu or call 409-741-8484 for reservations. The Spa at Moody Gardens can add romance and relaxation to your intimate Island getaway with indulgent Valentine’s specials. Relax with a Champagne & Roses Pedicure that includes an effervescent champagne foot soak with organic rose petals while enjoying complimentary champagne and gourmet chocolate truffles for only $55.00. You can also enjoy a delicious Chocolate Dipped Strawberry Massage that begins with a sensual 50-minute warm chocolate back treatment and soothing strawberry oil scalp massage. Chocolate truffles and champagne complete this sweet treat. To rekindle the romance, enjoy this divine service for two in our romantic private couples’ suite. This massage package is priced at $150 for individuals and $275 for couples. For additional details or spa appointments, call 409-683-4440. 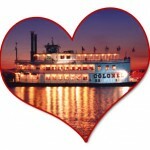 You can sail away on the romantic Colonel Paddlewheel Boat Dinner Cruise. This 1800-style Paddlewheeler provides the perfect setting for a romantic night with your valentine. Dance the night away and have a delicious dinner buffet while enjoying the beautiful views of Offatts Bayou. Dinner cruise is on February 12 and will include dinner buffet and cash bar. Boarding will be from 7 p.m.-8 p.m. Please make your reservations by Wednesday before the scheduled dinner cruise at 1-800-582-4673 extension 4419. Cost is $65.00 per person. Click here for more information about the Valentine’s Retreat Package, Shearn’s Valentine’s Day Menu and Spa Valentine’s specials. 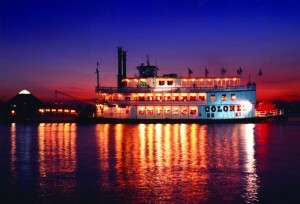 Click here for more information about the Colonel Paddlewheel Boat Dinner Cruise. Don’t miss out on the chance to make this Valentine’s Day Weekend unforgettable! 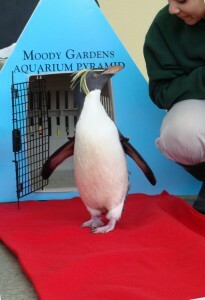 Posted on February 2, 2011 Author Moody GardensCategories Events1 Comment on Love is in the air at Moody Gardens! February on the island is a time for lovers and also the perfect time to experience first hand how the island comes to life with the grandest celebration of the season. Moody Gardens has unveiled special packages for Valentines Day romance and Mardi Gras festivities. Whether you’re saying “I love you” all over again with an intimate Island getaway or having the time of your life at the biggest party of the season, our custom packages are the perfect way to celebrate. The special Moody Gardens Hotel Valentine’s Retreat packages include a luxurious room for two for one night, a split of champagne to enjoy in room, a long stem red rose, and chocolate covered strawberries. Packages are available on Saturday, Feb. 13 starting at $199 per night and Sunday, Feb. 14 from $159 per night. For reservations or more information, call 888-388-8484 or visit www.moodygardenshotel.com. Enjoy a romantic dinner for two at the fabulous four diamond Shearn’s Restaurant with our special Valentine’s menu. This lover’s feast includes a divine four course meal with such offerings as seared snapper, prime filet mignon, panned veal chop, mushroom pasta, and a decadent dessert – a chocolate Chambord heart. The Shearn’s Valentine’s Dinner will be offered on Feb. 13 and 14 from 5:30 p.m. to 10 p.m. Reservations are required with the last reservation at 9:30 p.m. each evening. Prices are $75 per person. For reservations, call 409-741-8484. The Spa at Moody Gardens invites you to rekindle the romance and share a delightfully decadent Valentine’s Day with the one you love. Enjoy a private spa couple’s suite, or treat that someone special to a day of pampering of their very own with one of our custom Spa packages. The Champagne Bubbles & Chocolate Strawberry Cream Couple’s Escape package will indulge you and the one you love with a divine Chunky Chocolate Body Polish and soothing Champagne Bubble Bath, followed by a 25-minute Swedish massage for two with a sensuous Strawberry Cream Lotion. Relax and share a complimentary champagne toast and chocolate truffles. The package also includes a Gift Set featuring our signature 4oz Chunky Chocolate Scrub & Strawberry Cream body lotion. The package is priced at $300 for couples or $150 for individuals. For Spa appointments or more information on all of the spa offerings, call 409-683-4440. Couples can also keep their love afloat on the Colonel Paddlewheel Boat Dinner Cruise sails around Galveston Offatts Bayou Saturday, Feb. 13. The two-hour boat ride will feature a DJ, dance floor and a dinner buffet in addition to plenty of romantic moments. To make memories last, passengers can get a Colonel Paddlewheel Boat special souvenir wine glass filled with champagne or wine for $7.50. A cash bar will also be available. The cost for the Valentine Dinner Cruise is $45 per person. Boarding starts at 7 p.m., and the paddlewheel boat will sail from 8 a.m. to 10 p.m. For reservations and information, please call 1-800-582-4673 ex. 4352. In addition, when it comes to making memories, Moody Gardens is always a great place for couples as well as couples with children. How about a casual movie date at the IMAX® 3D Theater with the biggest 3D screen in the Houston area? Couples can also share bonding moments at the beautiful seaside-link Moody Gardens Golf Course. To impress your special someone, take your honey to meet a real penguin with the Penguin Encounter program. Couples can keep their love afloat this Valentine’s Day as the Colonel Paddlewheel Boat Dinner Cruise sails around Galveston Offatts Bayou Saturday, Feb. 13. The two-hour boat ride will feature a DJ, dance floor and a dinner buffet in addition to plenty of romantic moments. To make memories last, passengers can get a Colonel Paddlewheel Boat special souvenir wine glass filled with champagne or wine for $7.50. A cash bar will also be available. Colonel Paddlewheel Boat is an authentic replica of an 1800 style Paddlewheeler. The charming 800-passenger paddlewheel boat takes guests on year-round hour-long cruises in Offatts Bayou. The boat also features climate-controlled Galveston and Texas Rooms with large dance floors, which can be booked for private dinners and parties. The cost for the Valentine Dinner Cruise is $45 per person. Boarding starts at 7 p.m., and the paddlewheel boat will sail from 8 a.m. to 10 p.m. For reservations and information, please call 1-800-582-4673 ex. 4352. Perhaps, one of your new year’s resolutions was to meet new people, get involved in the community or volunteer more. Well, you can do all of that by volunteering at this fun event. No one needs to miss out on the Mardi Gras experience in Galveston. 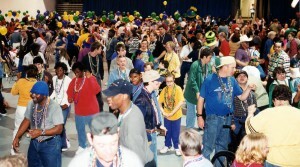 Moody Gardens will host the 24th Annual Mardi Gras Ball for Special People on Sunday, Feb. 7. Annually celebrated by thousands of people with special needs, this free event is hosted by Moody Gardens and made possible by hundreds of volunteers who contribute their time, supplies and services. This year’s theme is Masquerede, and entertainment will include a local Galveston band Mid-Life Crisis. To make the event free to all attendees, contributions have been made by numerous volunteers, Moody Gardens and other local businesses. Participants can enjoy donated food, refreshments, plenty of beads, clowns, face painters and a dance contest. This year, there will also be a costume contest and costumed characters. We are looking for volunteers to assist with the table set-up, decorations, ushering, serving food and dancing with the guests. It’s a win-win situation where both participants and volunteers can have a good time. The event is scheduled for 12 noon to 4 p.m. at the Moody Gardens Convention Center Expo A and B. For event registration and volunteer information, please contact Moody Gardens® at 800-582-4673, ext. 4108. When: Sunday, Feb. 7, 12 p.m. – 4 p.m.
Who: People with special needs and their immediate family members are invited. Volunteers are always welcome and appreciated. If you are anxious to know when this arctic winter is going to be over with, you are in luck. This Groundhog Day, a real Moody Gardens penguin will forecast spring on Galveston Island at Moody Gardens Tuesday, Feb. 2 in anticipation of spring break. In groundhog fashion, an Aquarium Pyramid bird will make its own prediction based on whether or not it sees its shadow. The penguin will then communicate with Greg Whittaker, Moody Gardens animal husbandry manager, who will translate the “Penguish” declaration into the human language. General public is invited to witness the Penguin Groundhog Day ceremony and proclamation. Admission is free. Please meet us in front of the Aquarium Pyramid. When: Tuesday, Feb. 2 at 10:30 a.m.